Have you heard about the new Ceramic Blade Knives from Starfrit? 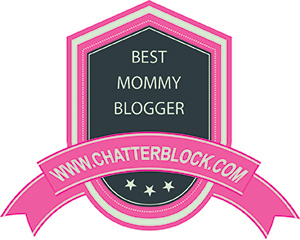 I just received one to review and I am so delighted with it! I have a habit of cutting myself (no, not on purpose), so I was intrigued with a ceramic blade knife, with the hope that I might not slice and dice on myself so much. The blades on the Starfrit Ceramic Blade Knives are razor sharp, and according to Starfrit, they will retain their original sharpness more than 10 times longer than steel knives. I also found the following information from Starfrit very interesting: Ceramic is a pure and healthy alternative because it will not transfer metal ions to food, and it won’t corrode from acids or oils in fruits and vegetables, and won’t rust! I am very, very impressed and pleased with my knife. If you do a lot of food prep, or if you frequently slice fruits and veggies, Starfrit’s ceramic blade knives might be something you might want to try! « Shopping for Cribs for Friends! I would love to have the ROTATO EXPRESS tater peeler.. it's lovely. Oooh….I would *love* a Mandoline, and theirs looks really sturdy! I'd love to have the Starfrit Eco Breakfast Pan. I would like the 10.5" Eco Chef fry pan. It's Earth Day! Became a fan of Starfrit on Facebook! I would love to have the Enameled Cast Iron casserole withl lid, I love it in red. I like Starfrit on FB (jemme e). Id LOVE to have the Starfrit French Fry Cutter….in the gadget department. I would like to get Starfrit's Re-usable Silicone stretch lids. I have really been wanting to try the ceramic bladed knives, but the Enameled Cast Iron casserole with lid is another item I'd love to have. My husband would flip for the electric pepper mill with a LIGHT! I am putting this on my list for a special gift for him. Would love to have the Starfrit Fry Cutter. We love fries here and making them would be so much easier with this! The Easy Mandoline looks great! I'd love the 20cm Starfrit La Forge Elite frying pan. I would love to try the Rotato Manual. i could use a pepper mill. I like the Rotary Food Chopper. Starfrit Electronic Kitchen Scale. 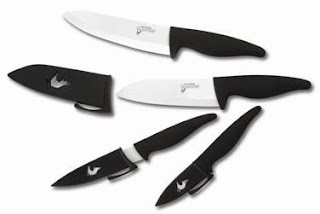 I have heard so much about ceramic knives, would love to try one. I see there is quite a variety of things on this website and I personally would like the manual meat grinder as my Mom had one and I remember a lot of good things she used to make. I'd also love to try the 10.5" ecochef fry pan! The Starfrit Eco Breakfast Pan looks good to me. Starfrit Bake n' Serve – 10" is another item I would love to own. Thanks for the giveaway. i like the Garlic Genius! I would love to have the Silicon Spatulas – all 3 sizes look great! Thanks! I also like the Colourful Silicone Spatulas! I would like the mighty grip jar opener. I'd like to have the meat grinder! I'd also like to have the Rotato Express potato peeler. I'd love the silicone tongs with locking system. Those look so cool! FB fan of starfrit – Brenna Chavez. I'm a fan on FB. Brenna Chavez. The Jar Opener…. most definitely! I love their Bake N Serve Bakeware. I have the Step Into Summer button on my blog. I am an eighty mph mom fan on fb. I left a comment about your Avatar post/review! I commented on your Phone Menu "tricks" post! THANKS for the tips! I left a comment on your post about not "drinking & flying!" I would love to have the Enameled Cast Iron Casserole in Red. I'm a Facebook Fan of Eighty MPH Mom. I like the Starfrit Easy Mandoline. I would love to have the Potato Masher and Ricer. Thanks for the giveaway! The mini-chopper would be nice to have for small jobs. i LOVE the Silicone Spatulas with Quick Fix…so neat….stick them to the pan, not make a mess. I'd love and NEED, SECURIMAX AUTO can opener. We are so hard on can openers, have it a week and it croaks. And I would LOVE those knives! Have the Step into Summer button. I follow on Twitter, and Tweeted. I'm a Fan Eighty MPH Mom on Facebook. i like the Starfrit Mandoline. I'd love to have a Freshkut folding chopping board. That looks very handy. The Salad Spinner looks great! Luv to win this. Our hands are arthritic and the knives would help a lot with foods that need slicing. Thx. I'd like to have the Starfrit Bake n' Serve 10" pan. I would love to have one of the Enameled Cast Iron Casserole 6Qt with lid – Shaded Red. The SECURIMAX AUTO can opener is really cool. Thanks. I'd like the 20cm Starfrit La Forge Elite pan. I would love the Starfrit Wine Pourer! I'd love the red Enameled Cast Iron Casserole with Lid. The STARFRIT Fry Cutter looks like a nice gizmo to make cutting home fries easier. I would like to have the Heritage Enameled Cast Iron casserole. I also love the SECURIMAX AUTO can opener,it would be nice and no more ruff edges! Thanks for the chance!! Bake n' Serve would be great to have. I think the MightiCan can opener would be great. I get pains in my hand with my current one. I like the Silicone stretch lids. I want the sushi knife. Awesome. I would also like the Enameled Cast Iron Casserole in Red. The Eco Breakfast Pan would be nice to have too. I'd love the Enameled Cast Iron casserole with lid! I would also like the Enameled Cast Iron casserole with lid! I also like the Starfrit Eco Breakfast Pan. I'd like to have an 8" Bake n' Serve pan. I'd like to have the Starfrit Electronic Kitchen Scale. I'm a fan of Starfrit on Facebook. I would love to have the Vegetable steamer. Thanks. The vegetable steamer sounds very useful. I would love to have the mightigrip jar opener. I really would like the Eco Breakfast Pan. Thank you! Love this ceramic knife, but after checking out their website I decided I could very much use their colorful juicer. The Grill pan with foldable handle looks pretty neat. Thank you! I would like the Enameled Cast Iron casserole with lid. My BF and I have been wanting to try the ceramic knifes so I would LOVE to win this. I'd like to try the Starfrit Fry Cutter. I would also love to try the mightigrip jar opener! I always have issues with jars! Thank you! I'd also like the Fry Cutter. I also like the 10pc. Starfrit LaForge Elite Cookware Set. I am a fan of Starfrit via Facebook as Jill Myrick. I would love to have the 28 cm Wok with lid. I love the Mightigrip Jar 0pener. I would love to get the Bake N Serve Bakeware, thanks! We could really use the Starfrit Easy Mandoline! The one we have is downright dangerous and VERY User Unfriendly! I like the the Starfrit V Slicer. I like the apple pro peeler. Thanks for the giveaway…I want that "Starfrit Eco Breakfast Pan" !!! …fan of Starfrit on Facebook: "Bryan Eason"